We know we’re different. We planned it that way. What makes us different from a lot of orthodontic offices is our philosophy: One Office. One Focus. Your Family. We don’t have multiple orthodontists in our office – we have one. We don’t have several locations – we have one. 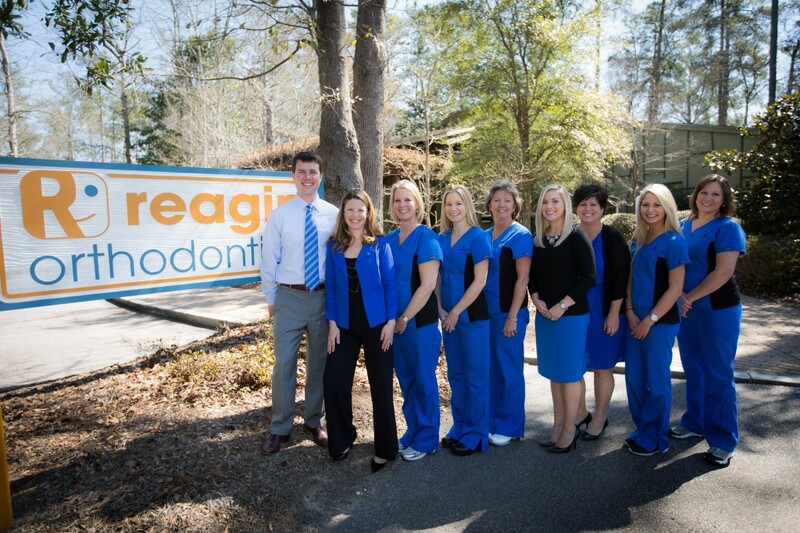 What this means for the patient is that each time you visit Reagin Orthodontics, you are guaranteed to see Dr. Reagin. And one location means that you can make appointments based on your schedule – not the orthodontist’s. Having more than one office may sound appealing – the more, the better, right? We even tried it ourselves. However, we found that patients want to see their orthodontist at any given appointment time – and in the office where they are accustomed to going. So we listened and changed our focus to suit the convenience of our patients rather than the other way around. For the past six years we have been practicing from one office, to greater patient satisfaction. We also found that people prefer consistency. If patients are seen by one orthodontist, they want to be seen by that same orthodontist in the future. It is reassuring to know that your orthodontist is familiar with you, your history, and your needs. Plus, valuable appointment time can be used on treatments – not reviewing your last visit with somebody new. We want your time with us to be pleasant, professional, and convenient so you can get on with your day. Sure, we could see more patients with more offices, but we would rather serve fewer people better. We want to work with the people in our community, and our community is Summerville. Our team of professionals puts the focus where it should be – on you, our neighbors. That’s why we at Reagin Orthodontics practice what we believe: One Office. One Focus. Your Family. Call us today to schedule your free consultation.